This post is the sixth installment of our “Meet the Deputies” series, introducing our eight representatives to the 79th General Convention. To view other “Meet the Deputy” interviews and follow General Convention coverage, click here. 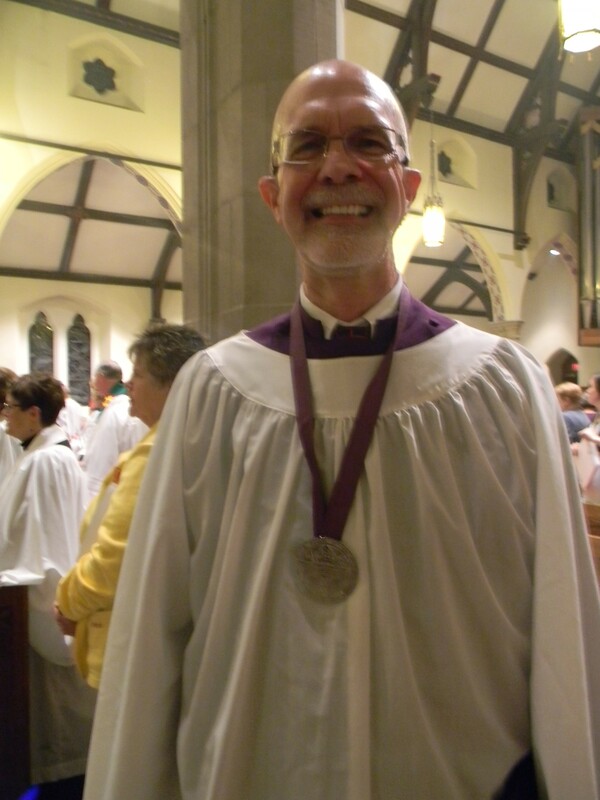 During Convention 2015’s Eucharist Bishop Sean made Jim Steadman Canon Chancellor for his years of unparalleled service to the Diocese. Below are the words Bishop Sean read aloud. You graduated from the fine and elite institution of higher learning called Grove City College in 1972, a distinction you share with the Cathedral Dean and the Bishop. You also met your wife and dedicated partner in life, Alison. You went on to Dickinson Law School and graduated in 1975 earning your Juris Doctor. After a brief time serving the United States Small Business Administration, you returned to your hometown of Girard, PA where you have practiced law ever since. Your service to the community is distinguished and too lengthy to recall in full. Among your many and varied ways of giving back to the community, you have served as President of the Erie County Bar Association, on the Boards of the Erie Philharmonic and the Erie County Historical Society, and as a Girard Borough Councilman. You are an advocate for the poor, a compassionate presence, and a voice for those who have none. In the courts and in the community you are highly regarded as a person of tremendous gifts and deep integrity. Bishops, clergy, judges, and attorneys alike look to you for wisdom and guidance. Our Cathedral and Diocese are beneficiaries of your considerable gifts. For more than a decade you have served as Chancellor of the Cathedral and for nearly that long as the Chancellor of the Diocese. During a time of trial, when our diocese was facing a significant scandal of child sexual abuse, you were a steady counselor and always led me to make the moral decisions that were in the best interest of the victims and justice and never the institution. A widely circulated book about communication and crisis communication in faith communities, which uses our handling of sexual abuse as a case study and process worth emulating, includes a section entitled Don’t let the lawyers run the show. The authors cite you as the exception and say, ‘ We have been privileged to work with several Church lawyers who are the exception that prove this rule. When a crisis communication team is fortunate enough to include one of these lawyers, it’s possible to turn a crisis into a profound opportunity to show that the church can live according to it’s precepts even when things are very difficult.’ The authors used your name more than once in their discussion about how best to address these matters with integrity and the values of faith. As a bishop, I dare not even pray for a better counselor, chancellor, mentor, and friend. 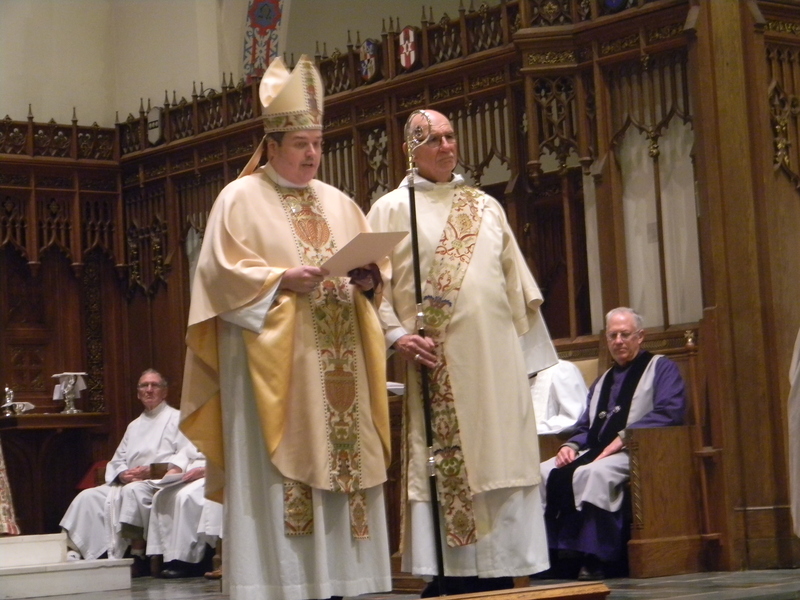 In gratitude for your remarkable service to the community and our beloved diocese, it is my privilege this day to name you Canon Chancellor of the Diocese of Northwestern Pennsylvania. 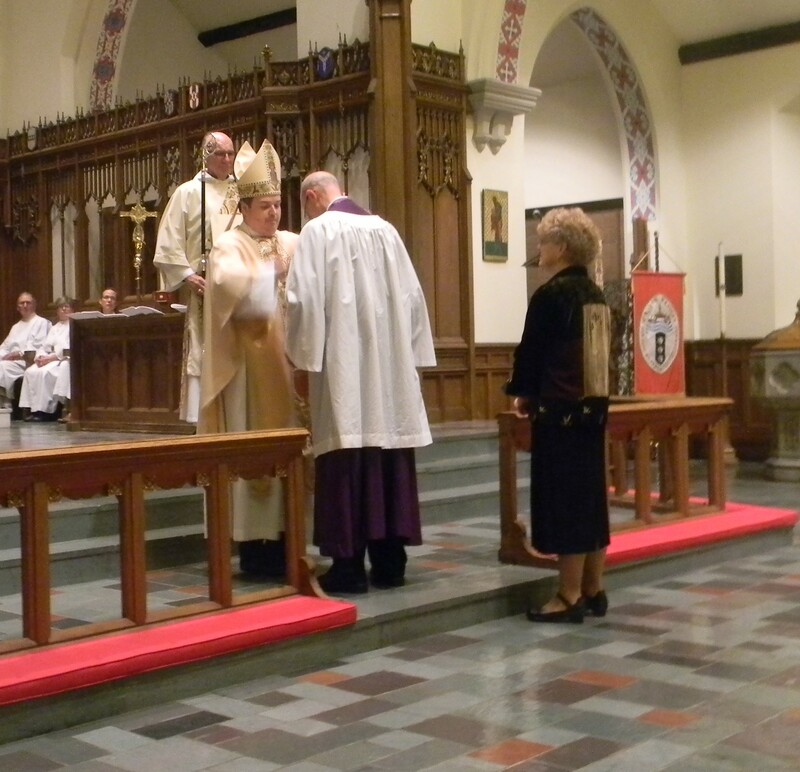 Given under my hand and seal in the City of Erie on the sixth day of November 2015 and in the ninth year of my episcopate.